The delivery of the boat back from Cowes to the Medway took about 36 hours. By the time we had past Ramsgate and rounded North Foreland, the tide was ebbing hard against us and the following breeze along the south coast had turned into a building headwind. These wind over tide conditions, over the very shallow four fathoms channel, led to very short steep seas indeed. 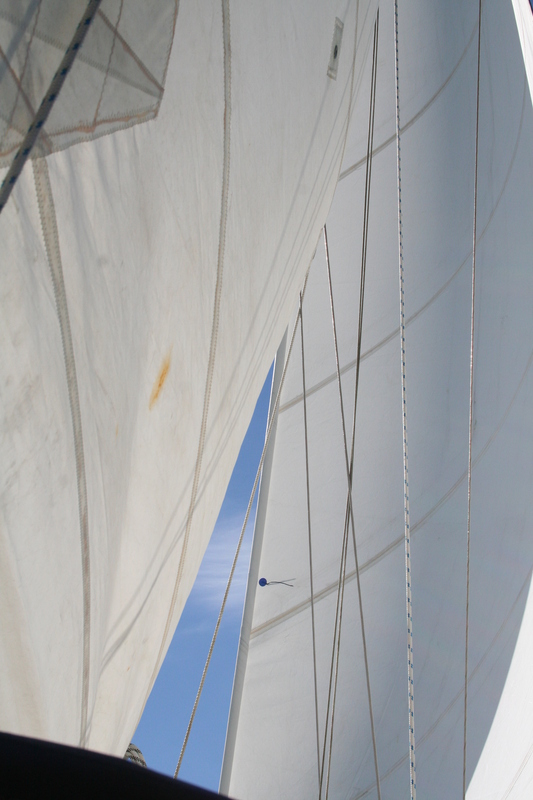 We hauled the sails in, and prepared to short tack our way up the channel. After an exhausting hour we had made no headway at all, the sails were far too ‘baggy’ in this strong wind, lost all shape and drove Triola relentlessly over on her side, which, whilst good fun, resulted in zero progress towards the Medway. Rather miserably, we rolled the Jib up, hauled the main in and motor sailed into the wind over tide chop at a frustrating and bouncy two knots. Later that year I had resolved to get a new suit of sails. I scouted out all of the sail makers at 2008’s boat show and had quotes from all of the local suppliers also, most notably and helpfully of these, Dolphin sails. During the visit to the boat show I met a new outfit called “Momentum Sails”, claiming very keen prices for very good technology. The local sail makers sucked their teeth and claimed that Momentum Sails wouldn’t be around for long and that all their manufacturing was done in China. New load pathed Vectran sails, the sun really picks out the strands. I was left with two choices, buy the latest technology from Momentum, or buy the equivalent from a local sail maker. 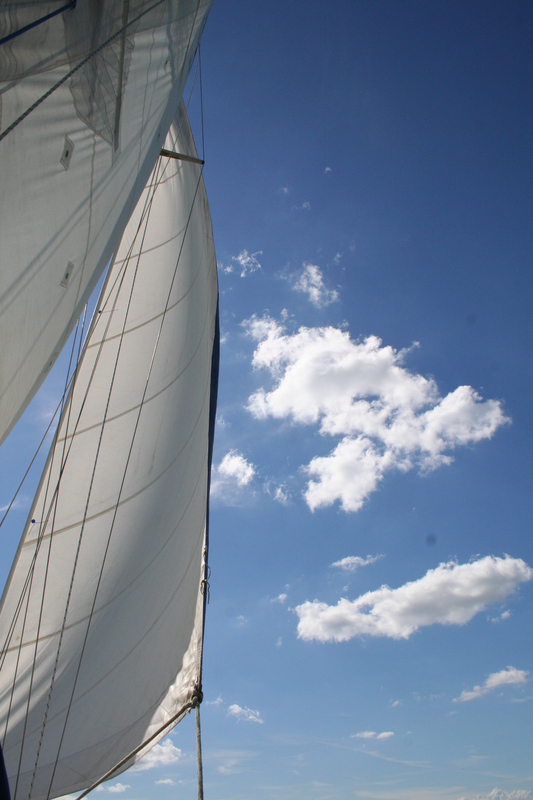 The local sailmakers could not do load path, single panel sails, Momentum could. 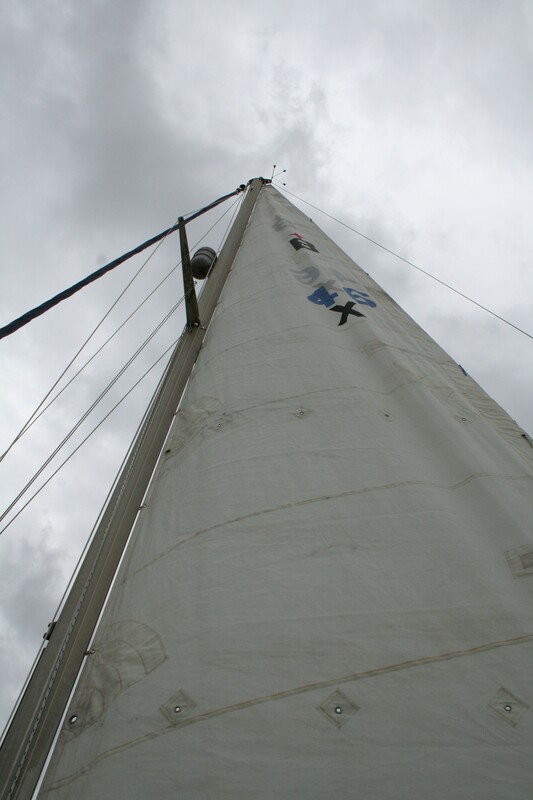 So, rather than going for sensible cruising sails – with the understanding the recession would be short (we all know how that turned out), I purchased state of the art double taffeta laminate Vectra (that’s the stuff they make space suits out of) sails. Whilst the sails have been stunning, push button sails, Momentum shortly did go out of business, leaving me with little support (as prophesied by the local sail makers), so in retrospect, perhaps I should have gone with Dolphin (there’s always next time). That said, the sails have served me very well the last few years – from light winds, up to gales, whilst cruising or racing, they have done everything I have wanted and have never faltered.